Built right out og the box. Sprayed with Testors sublime green, and 3 coats of clear. The intrerior is flat black. 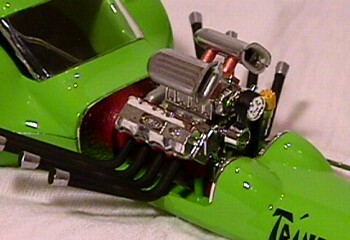 I sprayed the engine with plasticoat metallic red, and the headers are flat black. 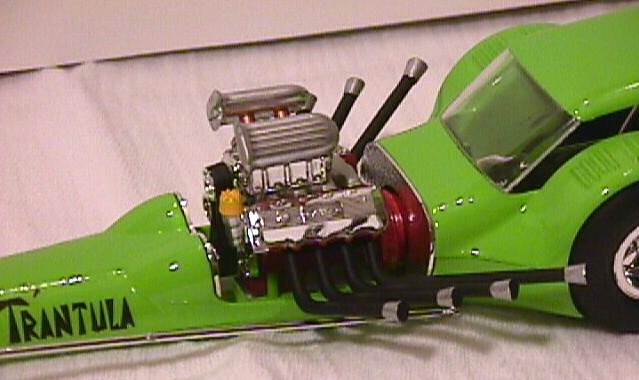 I had to buy a parts car T'rantula from Paul Canney to get good chrome engine parts for this one. The chrome that came with this T'rantula was terrible. 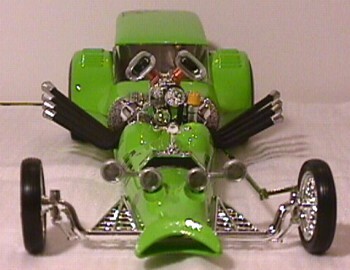 A big thanks to Paul for selling me the parts car. 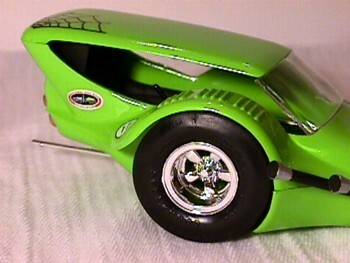 The T'rantula is one of my favorite dragster designs, and would still be in style if it was made today.